Whether you've recently started your first job or you've been working for decades, you'll find plenty of wit and wisdom to enjoy in YourDictionary's collection of work quotes. We have thoughts from prominent entrepreneurs, politicians, writers, athletes, artists, and comedians to help you make it through the work day with a smile on your face. 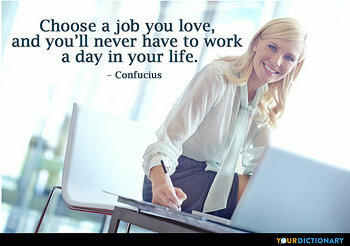 Choose a job you love, and you'll never have to work a day in your life. Like being the captain of a mine-sweeper, if you do your job well, nobody notices. If you don't, there's a hell of an explosion.  1988 On his role as chief of protocol under President Lyndon B. Johnson. In the Washington Post, 22 Mar.  Diary entry quoted in Defending and Parenting Children Who Learn Differently: Lessons from Edison's Mother (2007) by Scott Teel, p. 12.  Bill Haywood, Roughneck, The Life and Times of Big Bill Haywood (1983) by Peter Carlson, p. 146.  Paraphrased variant: "For every man who gets a dollar he didn't sweat for, someone else sweated to produce a dollar he never received. "  On patent controversies regarding the invention of Radio and other things.  As quoted in The Team Selling Solution: Creating and Managing Teams That Win (2003) by Steve Waterhouse, p. 51.  The Memoirs of Herbert Hoover, volume 2 (1952). My entire soul is a cry, and all my work is a commentary on that cry.  Report to Greco (1965). Never work just for money or for power. They won't save your soul or help you sleep at night. So it's not gonna be easy. It's going to be really hard; we're gonna have to work at this everyday, but I want to do that because I want you. I want all of you, forever, everyday. You and me...everyday. Work quotes often praise the virtue of being passionate about what you do and committed to success. They keep us motivated by reminding us that the best things in life are what's worth working for, whether you're angling for a promotion to the corner office or dreaming of starting your own company. 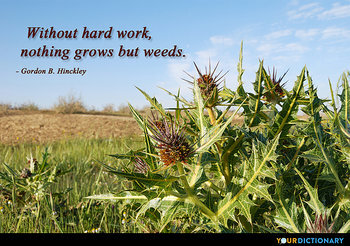 As David Bly said, "Striving for success without hard work is like trying to harvest where you haven't planted." 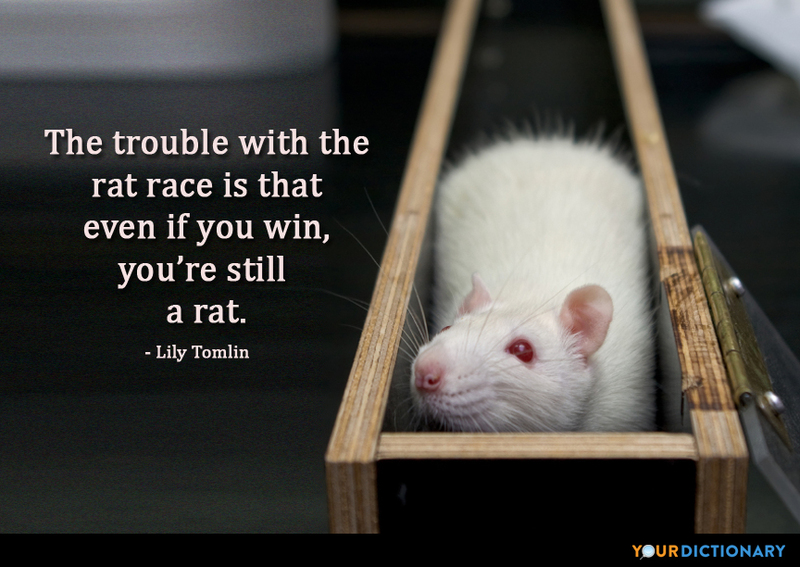 The value of teamwork is another common theme found in quotes about the workplace. These are the sayings you'll often find incorporated into office decor or team-building workshops. "Coming together is a beginning. Keeping together is progress. Working together is success," Henry Ford said. "Individual commitment to a group effort—that is what makes a team work, a company work, a society work, a civilization work," Vince Lombardi added. 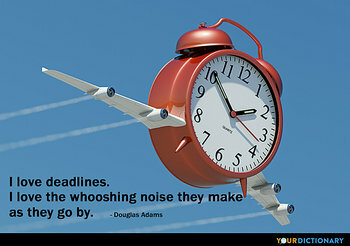 Of course, not all quotes about work are serious in nature. Many poke fun at the more tedious parts of office life. Take meetings, for example. Most people hate them, yet they continue to be a significant part of the work day. 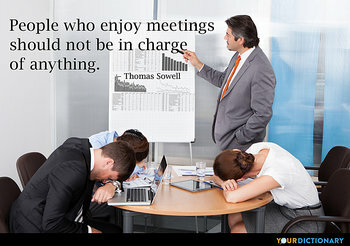 "People who enjoy meetings should not be in charge of anything," Thomas Sowell said.